After you have failed, call us! 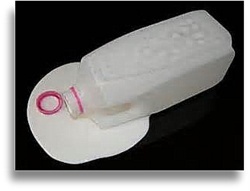 Spilled milk in car can seem like a minor problem at first; at least until a few days later. What seemed like a non-issue at first, has somehow grown into the most horrific, unearthly smell your nose has ever been insulted by! How could something as innocent as a little milk, grow into something so offensive that you want to vomit! Having been in the car detailing business for over twenty years I have had the "pleasure" of cleaning up every kind of natural, and unnatural spill and mess known to man; and a few that still remain a mystery even to myself. Cleaning spilled milk, or removing milk smell out of car is fairly common. You are on your way home from the market with a gallon of milk in the car; either back seat, rear storage area, or trunk. You take a hard turn or some inconsiderate moron cuts you off and you have to slam the brakes. Your goods from the market are hurled into some corner of your car whereby springing a leak or completely bursting your milk container. Upon arriving at home, you quickly mop up as much of the spilled milk you can. You grab some form of inadequate cleaner and quickly saturate the area in hopes of removing the spilled milk from your car; or worse, you empty an entire box of baking soda onto the milk spill thinking this will be a cure-all in the moment. Until a few days later you go to get into your car when upon opening your car door, you are knocked over by the most horrific, nauseating smell that burns the nose hairs right out of your nose! This is because you really didn't get all or much of the actual milk out of the car and it has began to ferment and grow into this unearthly smell. Because a simple milk spill in your car, be it big or small, seems rather tame to most people, they generally attempt to clean milk from carpet themselves. When it comes to most spills, this is generally not a problem, but when it comes to spilled milk within the confines of your cars interior, or cars trunk, we are dealing with a different animal here. For milk left to itself, will begin to ferment and spoil to an unearthly smell that will cause many people to vomit. You will fail for a few critical reasons, and you will have sour milk smell in your car a few days later. You will underestimate just how far, or deep, liquids travel within your cars interior. Even if you have found the entire milk spill, you will fail at removing the milk spill from porous materials like carpeting, cloth, velour, etc. You are less than thorough in your milk spill cleaning efforts because you either don't know how bad rotting milk smells, or you have forgotten. So if you find yourself in the unfortunate position where you now have a car that wreaks from spoiled milk, and you have come looking online for help, you have come to the right place. There is a definite process to removing milk stains and odors out of your car; a process most people will lack the skills or patience to do properly. $95.00 for service call and first hour of cleaning; $80.00 for every hour there after. In order to remove the milk smell out of car, the milk spilled in car will have to be removed first. Let my experience with these types of spills work for you; I am just a phone call away!